Memoir is more than remembering. Explore your authentic voice. Autobiography and memoir are very good jumping off points to explore your authentic voice. Many people use their lives as jumping off places for their stories. But please be aware that I just said jumping off places. Using your life as fuel for your writing doesn’t mean you have to be slavish to the details. Quite the opposite. 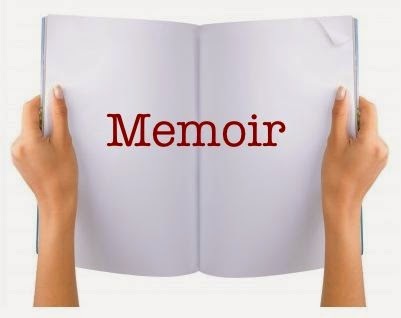 In addition, you are writing the memoir from a particular point of view – yours. If you told the story from someone else’s point of view, you would have a very different story. And finally, it is important to remember that you are writing the story from the point of view of the person you are now, not way back when. The story of who you were and what happened is filtered through life experience and the imagination. Of course, you want to put yourself back in time as much as possible, but the story is always filtered through the totality of life experiences that simply weren’t available to you say, when you were a child, a young adult, etc. This is what makes memoir writing so exciting, I think. It takes you on a journey into the past that is actually a journey in the now and, if you are brave and open to the unknown, which means what you do not know, the writing becomes a healing journey. I think one of the most powerful aspects of memoir writing is the ability to change what happened to you, give yourself that which you didn’t have in the past but so desperately wish you had. To do this, you cannot be stuck in “reality” and go on the premise that “This is what happened and so I have to write it as it happened.” No! Forget whether it happened or not. Remember, the you who is writing the story is not the who you were then. As a writer, we have the opportunity to change reality and do the thing you couldn’t do in life. So as writers whether we are writing fantasy or memoir we enter a far different and far more cosmic reality where anything is possible. This is where the healing comes in. Thank you for this post. I wrote a memoir to give my mother for Christmas and it was an amazing experience. Not only did I have the freedom to write from the heart, but I followed it through to the end and it did wonderful things for our relationship. We are usually are most studied topic, so a memoir only makes sense. Not only is it personally therapeutic, but it challenges us to write with such clarity that others can feel our lives the way that we do.